Here are some of the websites that I have found useful for information and support. Action on Hearing loss (UK) – Charity providing advice and support for those with hearing loss. Leaflets are useful and catalogue of equipment. Jewish Deaf association (UK, London) – Charity supporting those who are deaf or hard of hearing living in North London, regardless of faith. I’ve put together a video playlist for you on my YouTube ‘Healing the Dizzies’ Channel for videos on hearing Loss, vestibular issues, tinnitus and natural methods of supporting the body to heal itself. I have a healthy eating Pinterest Page filled with recipes to help you detox your body. 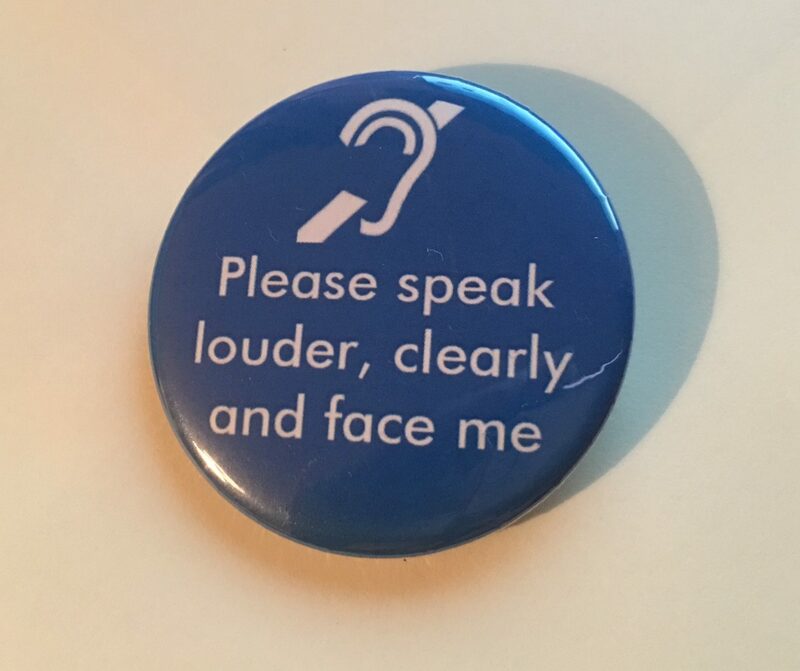 I sell these badges which make life easier as you can easily point to it if you need people to be aware of your hearing loss or disability. These are available on Ebay.co.uk or I can send them directly to you contact me here. 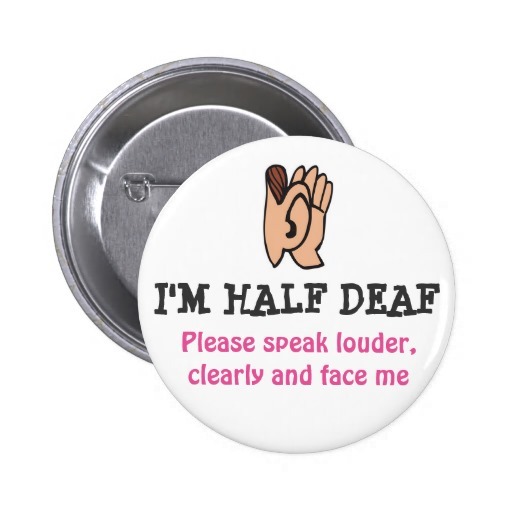 If you are in the US you can also purchase them on Zazzle.com. below is just a small sample of what is available.